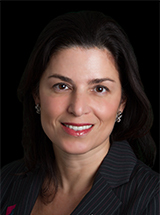 Marie Hattar is the first chief marketing officer (CMO) appointed in the Keysight/Agilent/HP history. She is responsible for invigorating the company brand and expanding the effectiveness of global marketing efforts. 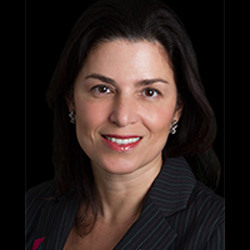 She drives Keysight’s corporate positioning, messaging and communications to both internal and external audiences. Marie has more than 20 years of marketing leadership experience spanning the security, routing, switching, telecom and mobility markets. Before being appointed as Keysight’s CMO, Marie was chief marketing officer at Ixia, as well as at Check Point Software Technologies where she established those companies as leaders in their industries. Prior to that, she was Vice President at Cisco where she led the company’s enterprise networking and security portfolio and helped drive the company’s leadership in the market. Marie also worked at Nortel Networks, Alteon WebSystems, and Shasta Networks in senior marketing and CTO positions. Marie received a master’s degree in Business Administration in Marketing from York University and a bachelor’s degree in Electrical Engineering from the University of Toronto. When did your interest in engineering begin? I grew up traveling around the world with my parents, often spending time in war-torn regions where my dad, a doctor, could help the sick and wounded. As a result, I had ample exposure to many languages and cultures, but my interest in engineering started in grade 9 where one of my teachers introduced us to an Apple 2e. The school had one computer and we all took turns learning to program on it. I remember being fascinated by how logical and impactful Basic programming was, and I was hooked – it stuck with me as I entered University. I ultimately earned my degree in electrical engineering — one of three women in a class of 102 — and went on to work in the field for several years before transitioning to marketing. What was it like to be a woman in the engineering field? A mother of two girls, I passionately encourage young women to seek out opportunities to explore their passions at any age, especially STEM. Women constitute over 50 percent of the population, yet even the most optimistic numbers from the National Center for Women and Computing estimate they constitute less than 25 percent of computing occupations. I encourage young women to study challenging topics, strive to be the best, don’t be shy, and above all, analyze mistakes to learn and improve. Before joining the Keysight team, I served as CMO for Ixia, where I played a key role in the widespread hiring of women. In the first 9 months of my time at Ixia, 63% of hires were women, part of the open door policy I employed at Ixia — and currently at Keysight – is encouraging women to ask me for guidance, assistance and support. In my tenure at the organization, Ixia launched multiple first-to-market products including the successful launch of CloudLens, another innovation for the company’s Visibility Architecture, which provides Visibility-as-a-Service (VaaS) and is the first to be implemented as a pure Software-as-a-Service (SaaS) solution. The solution provides granular access to cloud traffic to help eliminate blind spots in a network which often compromise application monitoring, as well as overall security. Before Ixia, I was CMO at Check Point Software Technologies where I reestablished the company as the leading end-to-end security vendor. We launched a series of competitive campaigns as well as several key products including mobile security and cloud security. Prior to that, I was Vice President at Cisco where I led the company’s enterprise networking and security portfolio and helped drive the company’s leadership in networking. Keysight builds the lab test equipment that helps companies accelerate their innovation to connect and secure the world. Our focus is on helping companies tackle the toughest electronic design, test and measurement challenges through a combination of trusted hardware, innovative software and our own reliable global team of industry experts. Part of that comes from delivering the highest precision lab test equipment, but the bigger part involves partnering with early market movers and ensuring they can test their next-generation innovations early. If you think about it, how could anyone build the next generation of wireless products if they had no way of testing those new boundaries? From home entertainment to network reliability to communicating wirelessly, Keysight enables innovators to create and test the performance of products and solutions that make our world connected, productive and a safer place to live. My role at Keysight is clearly my biggest challenge. Keysight, as a company, is less than four years old, but before that it was called Agilent and before that it was called HP – with roots all the way back to the original HP garage. In that entire 75 year history, the one constant is that the company never had a Chief Marketing Officer. So, we have an amazing company with a very rich history with a name that is not familiar with most people. And that is where innovation comes into play. What I have found in my career is that Marketing is an innovation area just like in products. You can optimize for different outcomes. You can do more with less. You can structure and stimulate your team to move faster and think more broadly. My greatest accomplishment is helping the Keysight uncover their value which in turn is helping innovators to bring products to market faster that connect and secure the world.